How can I learn more about distance education at the College of Charleston? - Ask Us! Q. How can I learn more about distance education at the College of Charleston? The learn more about our distance education program, check out the Online Learning at the College of Charleston web site. 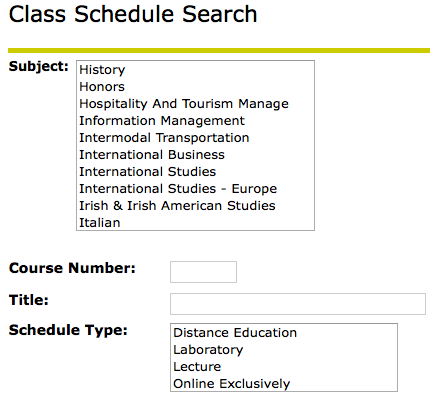 To see what classes are being offered online, do a course search here and, select a academic program from the subject box and Distance Education or Online Exclusively in the Schedule Type box (see picture below).